CROWN Azzaro leather halter in brown. Brown with Crystal stones and silver buckles. 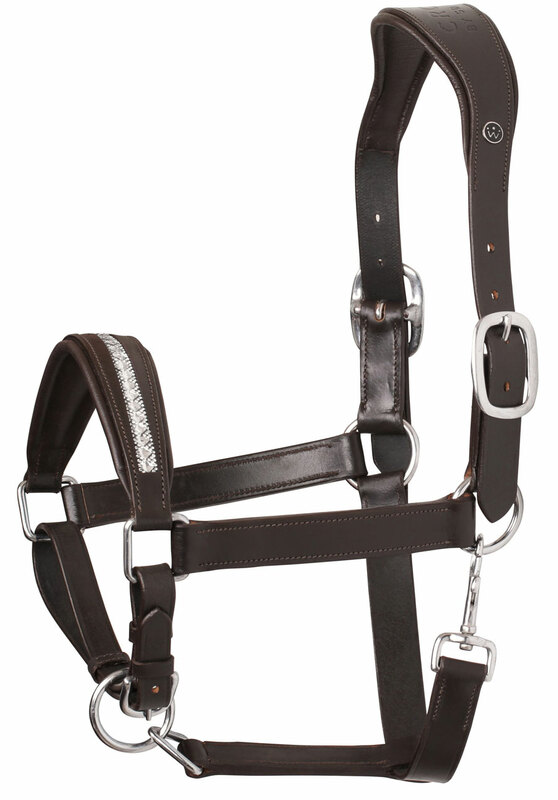 Stunning leather halter with our custom designed neckstrap where there are more Space for the ears and a larger contact surface in the neck for better pressure relief. The halter is adorable with shiny Crystals on the noseband.